The Active Directory booster identifies, contextualizes, and analyzes access related risks over all your Active Directory domains and provides audit reports and out of the box dashboards. on AD contents, understand all accounts and groups relationships. Detect data quality issues such as circular groups, spot groups with only inactive accounts, disabled accounts without OU, empty groups etc. Follow up changes regarding administration groups, and on a wider scale all the AD objects. Identify who can modify administration rights, can reset passwords, edit the userAccountControl etc. Be preventive and limit AD mismanagement. 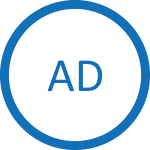 The add-on bw_ad_events_reports can complement the booster with analysis and reports on AD events when the Logs component has been purchased and activated. – the favorites list in the home page now takes only into account AD Booster pages and reports. Added support for domain perimeters.